Looking for Alternative Spring Break Lead Spring 2019! Want to gain a leadership position in the club? Want to travel to an awesome city and help people in need? Want to meet new people and network? Then consider becoming the alternative spring break lead! The lead will be responsible for finding a community in need, organizing housing, food, and travel for interested members, and leading the trip. Let the Eboard know at meetings if you are interested or contact Brittany at macinty9@msu.edu. 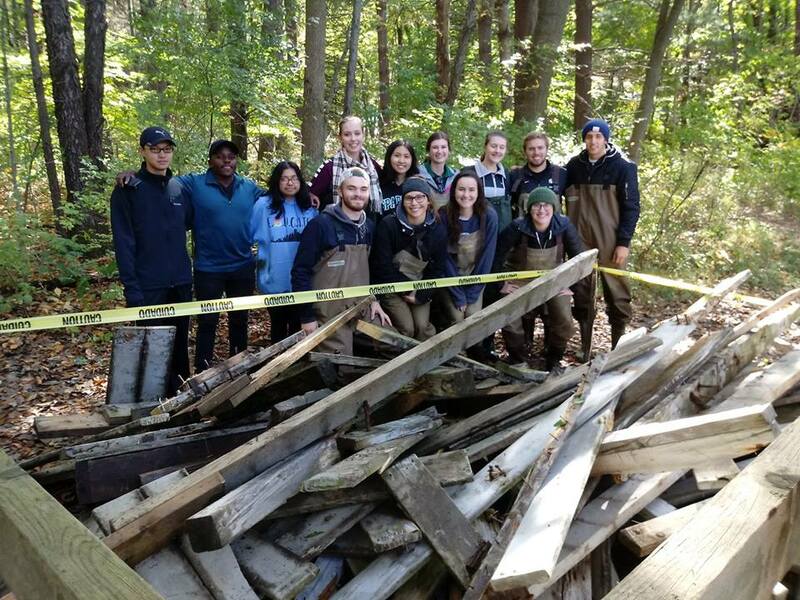 On October 13th several members of EWB came to demolish two docks as part of the Woldumar Dock Project. 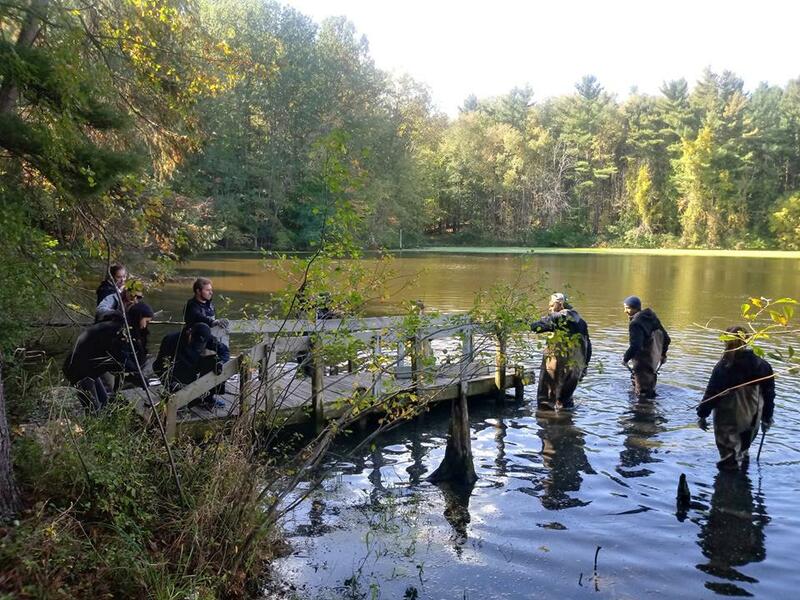 EWB has teamed up with the Woldumar Nature Center, in Lansing, to take out and re-build docks used for educational water quality programs. The docks were falling apart and unsafe. Installation of new ones will begin in the spring. Thank you to all the volunteers that participated in this event! The travel team recently returned from their second implementation trip of a rainwater catchment system, for a school, in Buyuni, Dar es Salaam. The team oversaw the construction of their design of nine total tanks systems. The tanks, downspouts, and first flush systems will collect rainwater for non-potable use by the school, which is expected to serve over 600 students, teachers, and community members. The gratitude felt by the community and cultural experiences were unparalleled! The team will now start to transition into a monitoring phase of the project, with possible travel next summer. 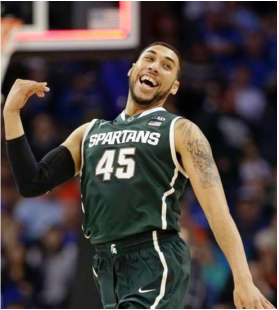 Come see MSU's Denzel Valentine and the Chicago Bulls play against the Detroit Pistons on December 6th. Some proceeds go to MSU Engineers Without Borders in our efforts to change the world! Prices are at a discounted rate, starting at $25. Bring your friends and family! 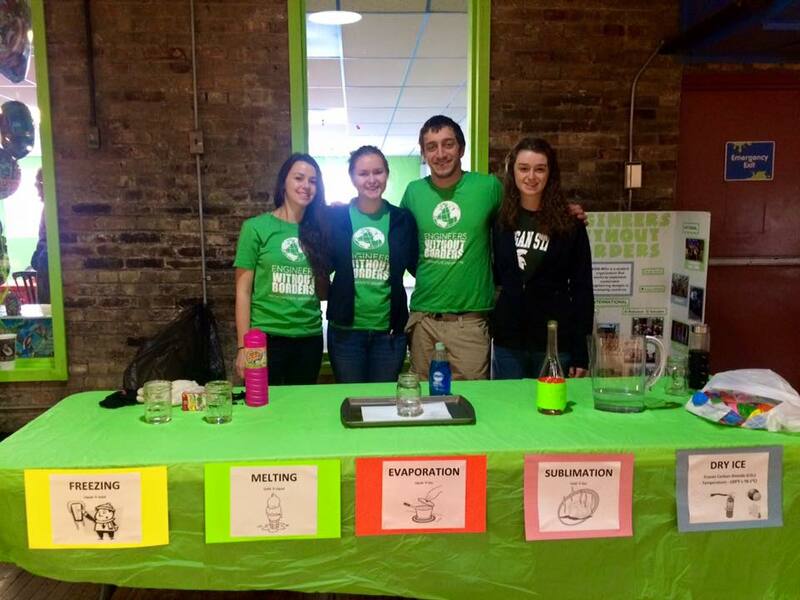 "EWB-MSU students participated in the E-Week event at Impression 5, the local children's science museum in Lansing. The team taught kids of all ages about phase changing and did some fun activities with dry ice! The team came in first place at the event out of nine student groups. EWB-MSU students performed the same activity a week later at Introduce a Girl to Engineering Day!" The travel team had an amazing experience in El Salvador! They examined 23/24 constructed latrines and surveyed each of the beneficiaries. On their last day in El Balsamar they had a meeting with GAIA and the community, and the excitement and appreciation of their work could felt by everyone. Upon their return, they will continue the project and prepare for their next implementation trip! EWB-MSU was interviewed by the Big Ten Network about the Tanzania project. Read about it here! 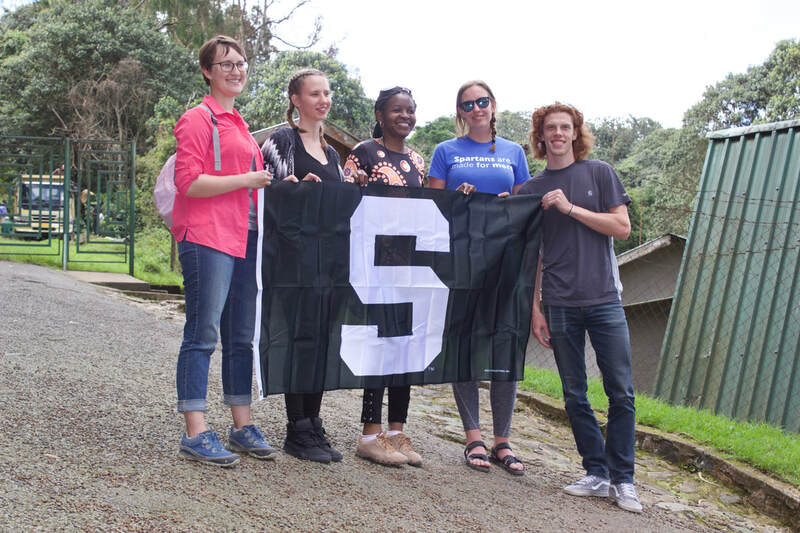 Engineers Without Borders (EWB) at Michigan State University is one of 10 student-led sustainability projects in this year’s $250,000 challenge, the Ford Motor Company Fund announced Oct. 7. Ford C3 recognizes colleges and universities for utilizing school resources and student participation to address an urgent community need under the theme: Building Sustainable Communities. 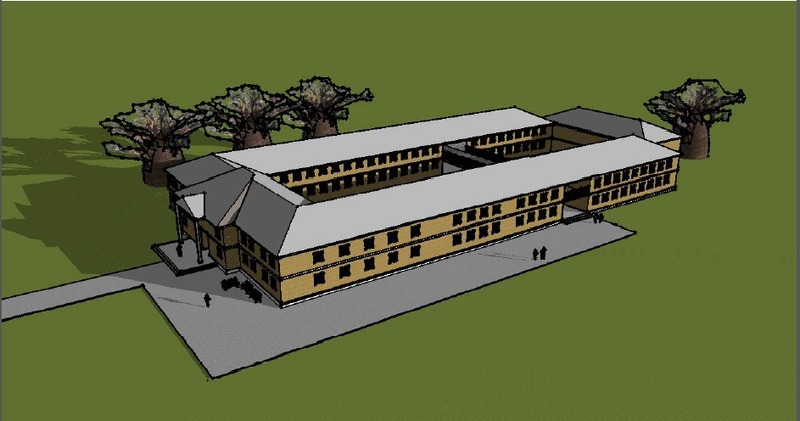 Artwork of the new school being built in Tanzania. EWB-MSU is working with a community in Buyuni, Tanzania, to design and build a rainwater collection system at an elementary school currently under construction about 30 kilometers outside of Dar es Salaam. The school, which is being built and will be run by the Salvatorian Sisters of Tanzania, is expected to grow to more than 500 students in the next few years. The project leader is Zachary Graves, a mechanical engineering major from Lowell, Mich. He said rainwater will be collected in the roof gutter system to provide safe, clean water for the students and staff. The proposed design focuses on the collection, filtration, and storage of the water. When completed, the water will be used for drinking, washing hands, and cooking. The system is expected to reduce the demand on the local water well and provide the safe and affordable drinking water during the dry season. Throughout the design process, EWB-MSU students will collaborate with professional engineers and MSU professors for design advice. EWB-MSU has partnered with the Salvatorian Sisters and Solar-Circle, a non-profit organization in Lansing, on this project. Four students from EWB-MSU and two professional mentors will travel to the African community in December for an assessment trip and to build relationships with the community. Zachary Graves is the project leader for EWB-MSU. The results of this assessment will allow EWB-MSU to update the design of the rainwater catchment system to best meet the needs of the school. The group will return next summer to build the system and complete the project. With the help of the Ford Community Challenge Grant, the students have raised the funds needed to build the rainwater collection system. The students are raising funds to cover travel expenses for the upcoming trip. Susan Masten, a professor of civil and environmental engineering at MSU, advises EWB-MSU. The Ford C3 grants are part of more than $1.7 million in new and ongoing global educational investments by Ford Fund, which contributes more than $8 million annually in scholarships, grants and other initiatives. Ford Fund is the philanthropic arm of Ford Motor Company. Ford Fund this year also worked with the American Indian College Fund to run a C3 program with Tribal Colleges and Universities in the U.S. for the first time, while also continuing the Ford Historically Black Colleges and Universities (HBCU) Community Challenge. Ford C3 last year launched in Brazil and China, and expanded this year to include Ghana, Kenya, Morocco and South Africa. EWB-MSU president Stephanie Fierens (left), vice president Sarah Parsons, and Brandon Kortum are part of the EWB team helping in Tanzania. MSU’s chapter of EWB is a student organization that works to implement sustainable engineering designs in developing countries. They currently have international projects in El Salvador and Tanzania. They also host Alternative Spring Break projects and volunteer locally. EWB-MSU member Brandon Kortum, an applied engineering sciences sophomore from Jackson, Wyo., said attending the EWB national conference last year gave him a passion to use his studies in practical ways. “Getting involved in the new project in Tanzania was the best possible way for me to do this. I have learned through the many hours of work with Sarah Parsons and Zac Graves that the best way to fuel this passion is to surround yourself with others who share your desire to change the world,” Kortum added. 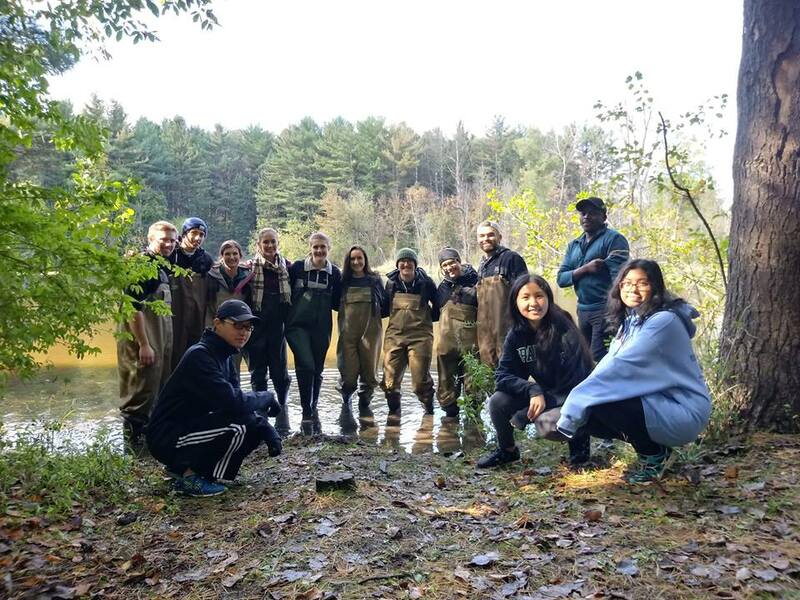 “Receiving this grant from Ford is a great reward for all of the effort EWB-MSU has already put into the project,” Fierens added. 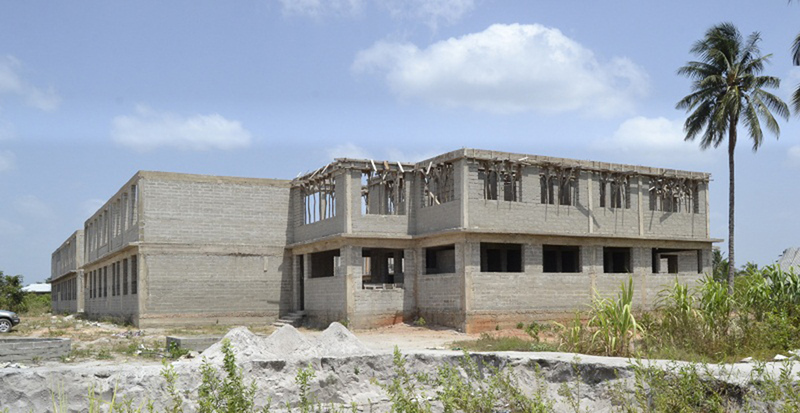 Work is progressing on the elementary school in Tanzania that will benefit from Spartan Will and a Ford C3 grant. For more information about the Tanzania Project, check out this video!